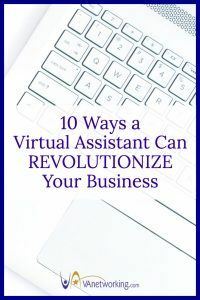 For those of you who are still in the dark, a Virtual Assistant, or VA, is an executive level, administrative professional who works from his/her own office to support clients using some of the latest available technology. The Internet has brought many skilled professionals out of the corporate environment and back into their homes, enabling them to create a better work-life balance, while still performing in the roles they love. The VA is one such professional. Working from their home-based offices and making use of the Internet, telephone, fax and email, VAs are able to offer small and medium-sized businesses a quality of administrative support, previously only available to the corporate giants, in a cost-effective manner. 1. A VA brings invaluable work experience and training to the table. You may even find that they will teach you a trick or two. Be it software, hardware or grammar, you can be sure that your VA knows his/her stuff! 2. Because VAs run a business themselves, they have a unique understanding of what your needs as a small business owner are. They will be able to assist and advise you on matters pertaining to Marketing, Branding, Web Design and e-Commerce. What avenues of advancement have you not yet explored with your business? Are you sure that you have all your bases covered? Your VA can help. 3. Get organized. If you attend conferences and AGMs I’ll bet you have a ton of business cards cluttering up your desk. Let your VA scan and enter them into a database for you. Future mail campaigns will be a breeze with a ready-made contact list all neatly stored on a CD. 4. Is there a special project boiling over on the back-burner that you’ve been wanting to do? Your VA can help with research, planning and coordination, leaving you free to continue your focus on your core-business function. 5. If you’re too busy to remember important dates, anniversaries and meetings, your VA, with a tailored reminder service, can assist. From ordering flowers for your mother, to sending a thank you note to a client and even arranging gift baskets for investor, they aim to please. 6. Conceptualizing marketing items can be agonizing if you don’t have the know-how, equipment or creative flair. Most VAs have a wide range of software packages at their finger-tips, as well as experience in creating flyers, brochures and business cards for their own company’s. Put your ideas to your VA, they will dazzle you with the results. 7. Planning a much-needed break with your family? Let your VA take care of the details; flights, car hire, accommodation, even a list of “must-see” places of interest. Your VA can handle it all, down to the very last detail. 8. If you’re on the road a lot, chances are your cell-phone is often out of signal range and there is no one in your office to take a message should that all-important client call. With the call answering service provided by many VAs, you can divert your calls and rest assured that your client will receive the personal touch rather than dealing with an annoying automated answering device. Your messages will be passed on to you in order of importance and you won’t need to sort through lengthy messages on voicemail. 9. Conferences and networking functions can take a lot out of a small business owner. It is imperative that you attend and make a dazzling show of it, but in order to do so, you have to neglect existing clients. This will no longer be a problem with a VA. They can handle all your conferencing arrangements; table-hire, banner design and creation, even gift bags for client samples. It’s that easy! 10. If you have a lot of correspondence, and you’re a bit of a “keyboard klutz”, your VA can help. Many VAs offer a fully digitized transcription service. Simply record your memos/letters onto your computer and email them to your VA, s/he will have it neatly typed and ready for mailing in no time! Other VAs may provide dictated typing as a service, so that urgent e-mail is just a phone-call away. Now that you’ve heard all that a VA can do, where can you find one? That’s easy. Our network is an invaluable resource when looking to partner with a VA. With thousands of professional VA members you are certain to find exactly the service you are looking for. 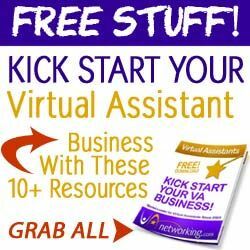 So if you’re looking for a VA or want to start a virtual assistant business, now is the time to stop by VAnetworking and see everything they have to offer. Such a great article and very helpful especially to those people who wanted to have a stress free life and to lessen the workload they carry. 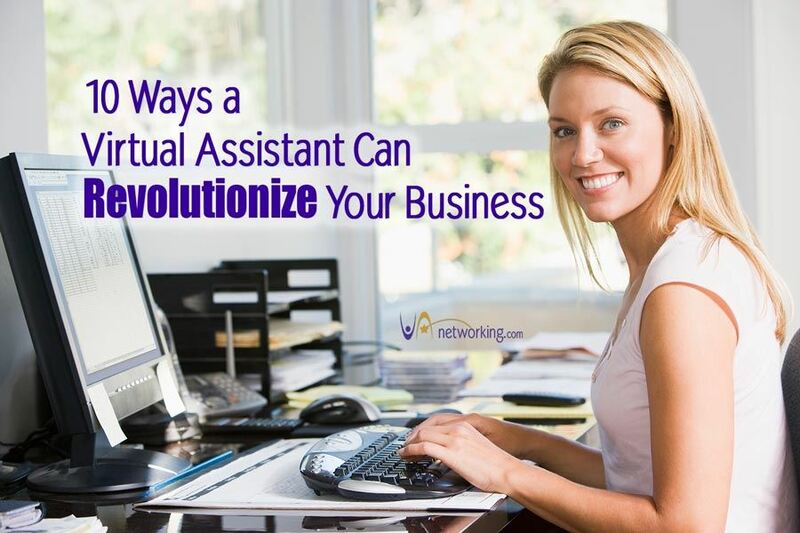 Due to the advancement of technology, virtual assistant are really in need. You can count on them whether it is regarding on your social task like thank you notes or writing holiday cards, travel research, chasing business, conference meeting presentation and many more. I have been working as a VA for at least 3 years now and it always makes the late night shifts and very early morning calls from clients overwhelmingly worthwhile whenever they would send an email or talk to you over the phone expressing how good their business meeting or their presentation went because I helped them prepare their needed documents for it. It makes you feel like you’re just helping another person in need and not so much because it is your job to do so.